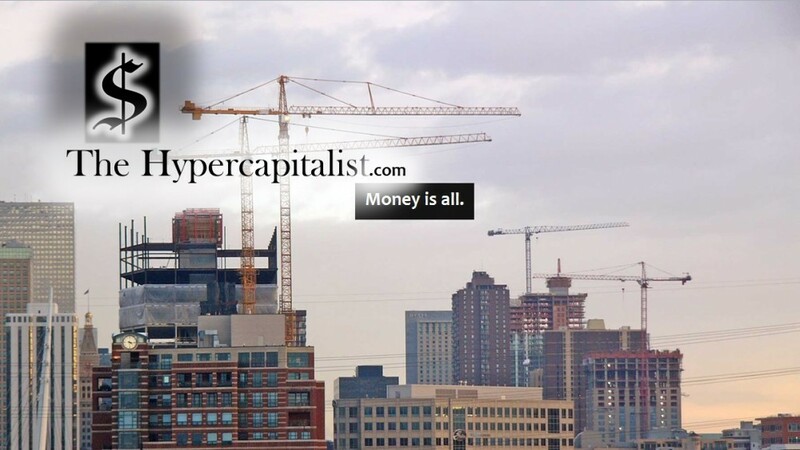 Depression: My First Hand Account | The Hypercapitalist | Money is all. There has been a lot of talk about depression online in light of the tragic way Robin Williams lost his battle. I want to share what I have been going through the past couple of years in order to help put it into perspective. Don’t let this be a “lets feel sorry for Dave” story but rather what it means to be in the thick of it. What it means to be depressed and how it sneaks up on you. What it means to deal with so many life changes that you feel like your head is going to explode. This is my story. My mom battled depression most of her life. This resulted in chronic alcoholism (something I feel fortunate to have so far avoided). The household I grew up in was emotionally trying. Still to this day I grapple with issues that most people handle with the slightest of hand. I’m anxious and afraid of what lies ahead. I try to please everyone and desperately try to gain acceptance. I worry about what other people think of me and, most of all, I’m afraid of change. But change is all I have been dealing with as of late. Even today, I had a drastic life change that I will explain a little later. In 2012, I began school again. That is a positive change but a very stressful change nonetheless. In 2013, I lost both my mom and my grandfather. Both battled long illnesses. This year has taken the cake. I had so much to look forward to but it is the worst year to date. The first half of the year took its toll dealing with 2 jobs, working 60 hours a week with full time school and the aftermath of the previous year. Still the echoes of 2013 bounce throughout my head. The last two months have been even worse. Since the beginning of June, I have lost both of my jobs and the love of my life, my soul mate. All to seemingly unrelated issues. The only common denominator in this whole equation? ME. It is only August! When I lost my first job to scheduling conflicts, I took it as ‘alright, it will allow me more time to concentrate on my full time job’. When I lost my fiancé, I thought ‘alright, it’ll give me more time to concentrate on my full time job and school’. But it doesn’t work that way. In fact, as a result, I’m more hindered, more distracted and less organized. I’m more tired, sleeping less and unable to make decisions. All people can say when I tell them all of this is: wow. The past few weeks I have been almost paralyzed by it. It takes quite a bit of energy just to even think about exercising or even getting out of bed! Small tasks seem huge with many steps. I try to compensate by being upbeat and active. I am productive but the ability to make decisions and organize tasks quickly collapses under the stress. Obsessive thoughts over what I have lost pour in as if the levee has burst. I can barely pick out an outfit or look at myself in the mirror. This is depression. This is the reality. It’s not always being sad or being gloomy. It is a rollercoaster of emotions from happy to sad, productive to unproductive in rapid succession. People who once loved you now sit on the sidelines and watch the storm. In the final wave (A least I hope it is), I lost my full time job today. I was terminated. This is only days after the promise of designing my own department to run with more money and my own staff. What timing huh? One small misstep and its all over. I am now single, unemployed, without insurance and living with my parents. Pretty much all in the last 8 weeks. The drive is gone. The calmness is gone. The direction is gone. Uncertainty has crept in and is here to stay for a little while. My life has completely fallen apart in literally a matter of weeks. Again… the common denominator: Me. Is something so much better waiting for me? What if what I had before was as good as it gets? You pray for answers. All I want is an answer! To be able to find direction again so I can look at myself in the mirror once more. It seems like all of this happened so fast but that’s how depression works. It slowly builds until it destroys everything. Looking back, I realize that depression has been my companion for a long time. Years even. Without even seeing it. Essentially making my decisions for me. To which, I am learning, are usually wrong. Depression is a sneaky one. It’s like the beginnings of a tsunami right after an underwater earthquake. Before it reaches the shore, the wave passes underneath the surface of the ocean for quite a bit of time and distance. Building speed and strength. Passing ships may not even notice it. It’s stealthy. One day, when it arrives, you wonder where it came from. Like it came from nowhere and the first clue is all the destruction in its wake. Trapped under a mound of debris so big you can’t even see the sky. Even sunny days may as well be cloudy. The world has been flattened. Objects once vibrant are now dull. Color is now gray. Light is now darkness. My head stressed and in a vice. My life as I knew it, now over. I’m left sitting here in the broken pieces of my life just waiting for any glimmer of hope. Perhaps hope has to come from within but when all of the effort is coming from one side, it gets discouraging real quick. Maybe there is a god. Maybe this is a test. Maybe I will take this pile of debris and rebuild my kingdom. Find my direction. Find the path to the love of my life again and my ultimate purpose. Losing this feeling of being trapped forever.